After a great season of whipping up comfort food dishes for the Food Network's blog FN Dish, it is time to begin a new series of weekly posts - Sensational Sides! Each week, myself, along with fellow bloggers, will be creating side dishes using the various ingredients/inspirations that are given. For this first week, we were to create a side dish using items from our pantry. Now, I do not know about you, but I have A LOT of items overflowing in my pantry, so I can always use an excuse to explore some new ways to use my pantry items. After thinking about what to make, I realized that just about every week, I cook green beans. However, I usually do not do anything special with them, so I decided to jazz them up a bit. As a result, a Green Bean Salad was born! 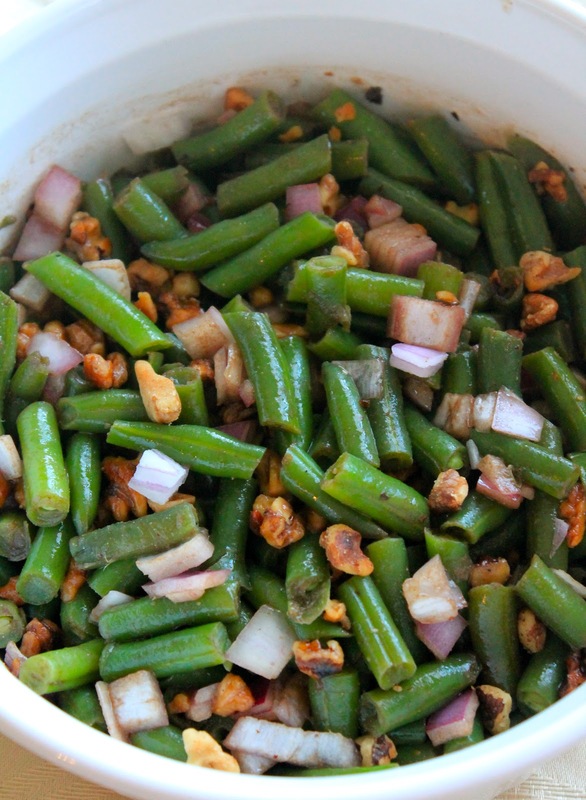 Place the green beans in a small saucepan and fill with water. Bring the pot to a boil and let the green beans steam, with the lid on, for about 5 minutes. Drain the green beans and set aside. Meanwhile, mix together the oil, balsamic vinegar, and mustard. Pour the dressing over the green beans and mix until the green beans are covered with the dressing. Toss in the chopped onion and toasted walnuts (to toast the walnuts, just place them in a 375 degree F oven and roast for about 5-7 minutes, or until browned). Season with salt and pepper if needed (you do not need much at all). 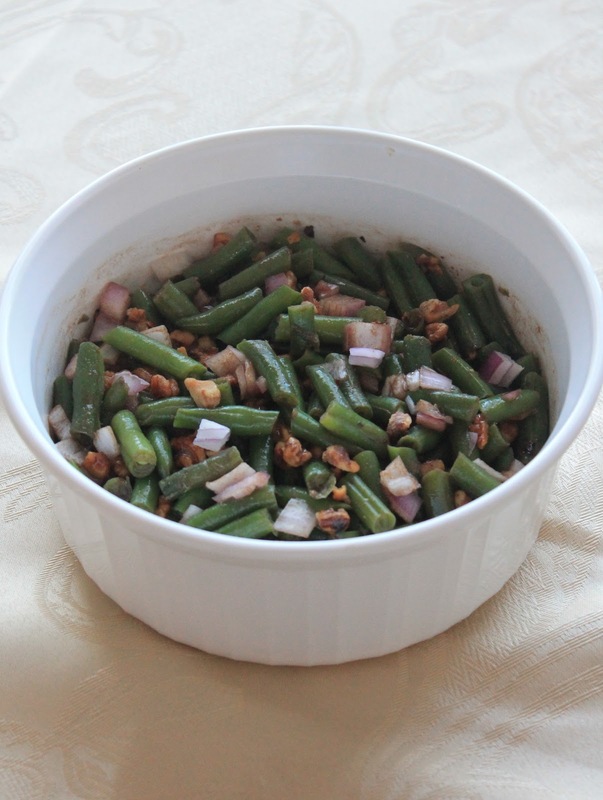 You can serve the green bean salad warm or chilled, but no matter how you eat it, I hope you enjoy! Some really great flavors going on in this salad. Can't wait to try!